Exquisite detail is what springs to mind when you look at these Sterling silver emerald diamond Claddagh earrings. 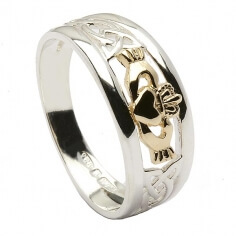 The gold Trinity knot stands out against the beautiful Claddagh design. 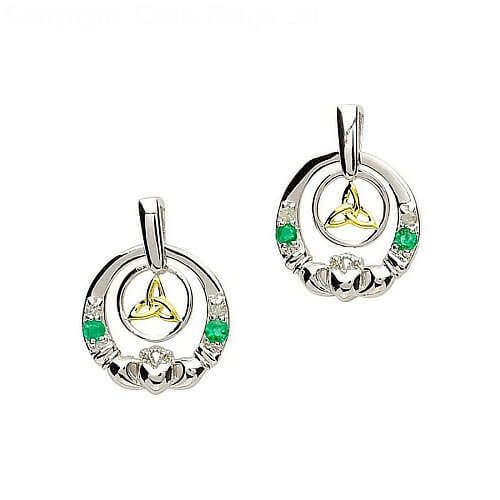 These earrings come in a beautiful presentation box. 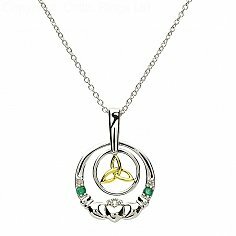 Learn more about the Claddagh and Trinity symbols by following the links below.